Free Spirits wants to cast the Spirits Of St. Louis as the Harlem Globetrotters of the ABA, or as something like Jackie Moon’s Flint Tropics in Semi-Pro: a unique blend of loveable, talented, eminently watchable basketball players who had a brief and lasting effect on the game. 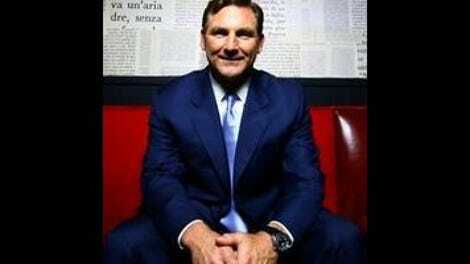 But despite the fact that Bob Costas was their announcer, and despite players like Moses Malone and future coach Mike D’Antoni passing through St. Louis during the team’s two-year existence, the Spirits of St. Louis are notable chiefly for the business deal that snuffed them out as their owners desperately yearned to be included in the NBA ownership circle. Free Spirits tries in vain to cement the legacy of that team, but it glorifies small accomplishments and ignores the harmful effects of a laissez-faire management style on the lives of many players. In the opinion of many NBA/ABA historians, and apparently the magnanimous cheerleader version of Bob Costas that drops in for interviews in this episode, Marvin Barnes was one of the great might-have-beens in basketball history. During interviews he comes off as one of the game’s greatest showmen and an extraordinary self-promoter. But the tales of his escapades—perpetually showing up late because he didn’t believe he had to follow the official schedule; once deliberately sleeping in and missing a flight to the next game, then quickly hiring a chartered plane which he charged to the owners—paint the picture not of a comically laid back player who suffered some mishaps, but a perpetual nuisance that went unchecked. Ozzie and Danny Silnas, the Spirits’ owners, knew they had a great raw talent, but also had no idea how to keep him in line. No veteran they brought in could keep Barnes in check. No coach could get through to him and make him care enough about the team to respect anyone else’s time or money. Greatness isn’t just the innate talent, it is acquiring the maturity and focus required to apply that talent in the right places. Barnes had potential, and in setting himself against his hero Julius Erving of the New York Nets, proved that he had the ability to compete with the best in the game. But his attitude was a severe problem, hurting team chemistry, making it impossible to coach and organize the franchise, and involving a bunch of other players in criminal activity. Barnes earned his nickname, “Bad News,” with every bit of action that showed he only cared about himself and getting his time on the court. The ABA historian interviewed for Free Spirits gets it completely right in assessing Barnes as a negative force who never fully accepted his role as a star, using his bad behavior as an excuse for never reaching his full potential. At one point someone says that the Spirits “exemplified everything good and everything bad about sports,” but for the players, all the fun they created in two years seemed to wreak havoc across their lives for decades, which makes me think the unchecked behavior and out of control atmosphere leans closer to the “everything bad” part. At one point in Free Spirits, Barnes blames the external force of his vices for what befell him, but that’s a lot of cheap talk. Barnes believed himself above any rules, and he acted accordingly, spending money wildly on clothes and cars and drugs. He squandered his talent, but Free Spirits wants to celebrate the two years in St. Louis as something to be proud of (even as the drugs flowed freely), using the “it was a different time” argument. 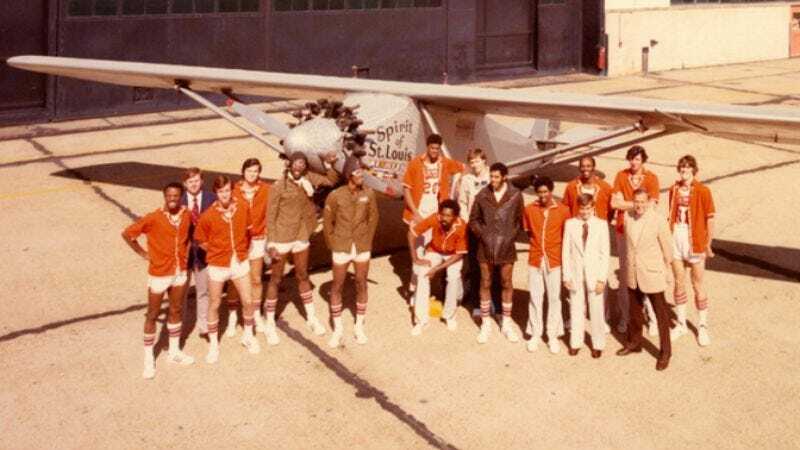 The other players on the Spirits, like Gus Gerard, Fly Williams, and Freddie Lewis, fill in a bunch of the details of the freewheeling seasons in St. Louis, how the team lost consistently, but pulled it together enough to face Dr. J’s Nets in the first round of the ABA playoffs. It’s the one triumphant sports moment in the film, as the team pulls together and upsets the defending ABA champions, before losing Lewis to injury and folding in the last real season ABA season before contraction began to set in. As a story of a franchise that burned too bright to fade away, it’s fantastically entertaining, but not surprising to hear the sad stories of personal turmoil off the court for Gerard and Williams in later years. But then Free Spirits turns to the end of the ABA and the Silna brothers’ sweet business deal to end all business deals. It’s one of the most prescient gambles in sports history: Instead of a lump sum settlement, Ozzie and Daniel Silna negotiated for one-seventh a share of television revenue from each of the four teams joining the NBA, totaling four-sevenths of a revenue share, in perpetuity. For every single season since 1976, the Silnas get paid a share of television profits. They gambled on the right horse, since now television revenue has never been higher, shifting from CBS to NBC in addition to TNT and TBS deals. The deal has its origin in the Virginia Squires negotiation: The Silnas believed they were going to the NBA, so desperately believed they were getting into that party, and wanted to compensate the Squires’ owner fairly, believing that to be a small sum plus a fractional television rights share. Alas, they were squeezed out as well, and turned around to make the best possible deal for their futures. It never led to owning an NBA franchise, but it remains a perpetual thorn in David Stern’s side, which is never a bad thing. Will Ferrell had a little sports movie cottage industry going there for a few years after Talladega Nights, Blades Of Glory, and Semi-Pro. I’d consider the last two on par with Step Brothers as hilarious trifles that offer some fantastic quotes but not much else. Costas’ story of getting hired as the voice of the Spirits Of St. Louis is great; his schmaltzy voiceover to end the film is eye-roll worthy. Of course David Stern had an early role as a lawyer in the ABA/NBA merger negotiations. Of course he did.